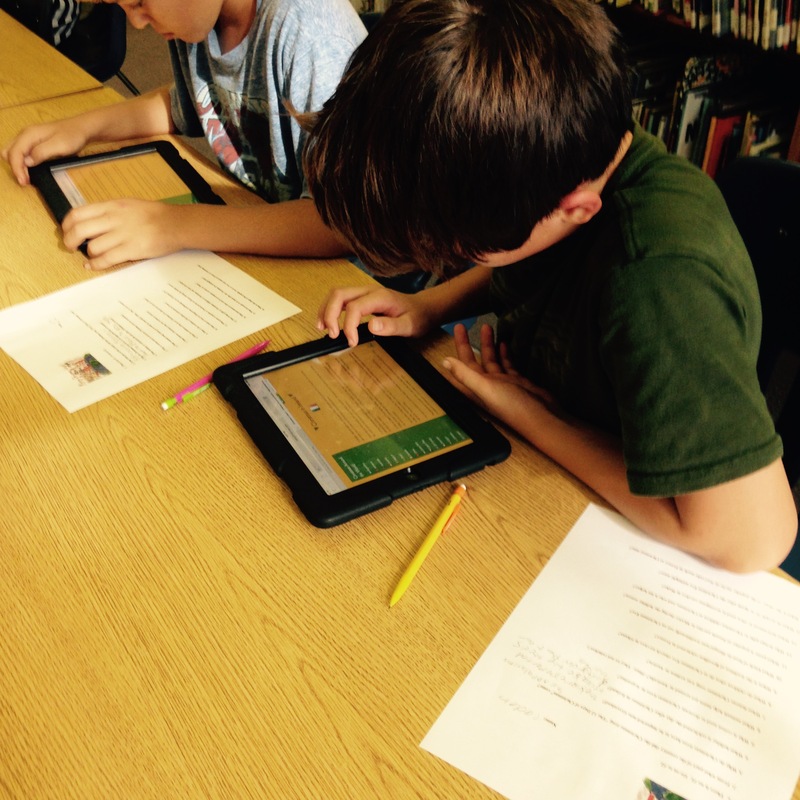 This week sixth graders went on a Holiday Internet Scavenger Hunt using our iPads. The hunt covers holiday traditions around the world and students had to answer 20 questions from the interesting and educational to (my favorite) “What does the Grinch have in his teeth?” This was a fun way to practice using the iPads for internet research. Students used our Library Skills Blog where the questions and live links were provided. Kindergarten…Kindergarteners watched the ebook, Snowmen At Christmas by Mark Buehner on the wonderful website We Give Books. The way these ebooks display on our TV is fantastic and they enjoyed the story and even said they enjoyed the lack of animation and sound effects! 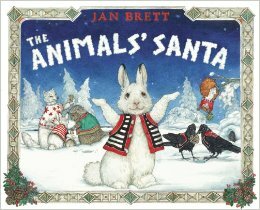 First Grade–Jan Brett’s books are always a great choice and this year we had a new one of hers, The Animal’s Santa. As always, the illustrations are magical and the story is a lovely take on believing or not believing in Santa. 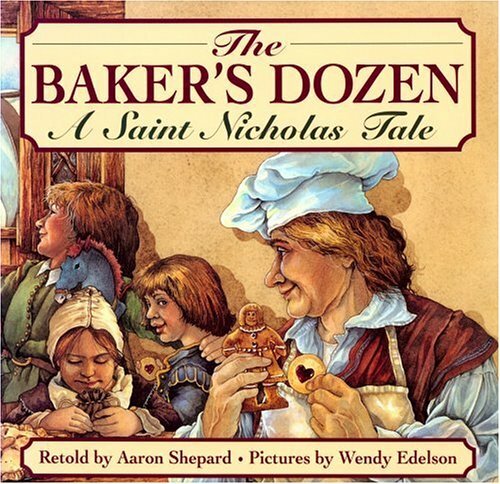 Second Grade–It’s interesting to discover other Christmas and holiday traditions and second graders heard The Baker’s Dozen: A St. Nicholas Day Tale by Aaron Shepard. We started with a visible thinking routine–Same, Same, Different–and compared St. Nicholas to Santa. We also compared a dozen to a baker’s dozen. The book is wonderfully illustrated and the story fascinates the students. A great holiday read aloud. 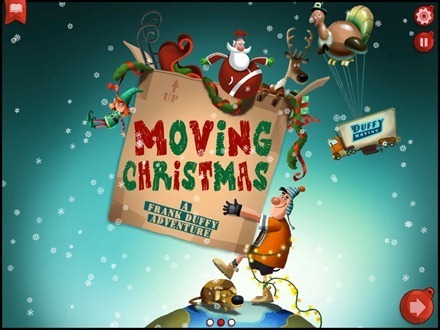 Third Grade–Moving Christmas is an amazing app and we watched it this week. However, it is a slightly ambitious app and has a few little bugs but it’s worth working them out. It’s a funny story with fantastic visuals and a nice little side message about the importance of saving our planet. Fourth Grade–Last year as third graders, fourth graders read The One And Only Ivan by Katherine Applegate as a class book. 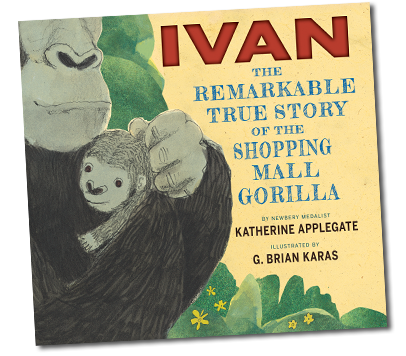 With the recent publication of Ivan: The Remarkable True Story of the Shopping Mall Gorilla by the same author, I wanted to let this group experience this wonderful picture book. They enjoyed it so much! At the end, we went to Zoo Atlanta’s website and watched a video and slide show about Ivan. This added another layer of depth to their reading experience. 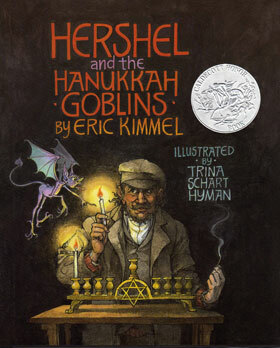 Fifth Grade–Our holiday traditions continued with Herschel and the Hanukkah Goblins by Eric Kimmel and so wonderfully illustrated by Trina Schart Hyman. This is our all time favorite Hanukkah story! It’s great to be able to compare it to other stories they have heard, like Esteban and the Ghost by Sibyl Hancock, and ponder how the stories are the same and different and how different cultures told similar tales.